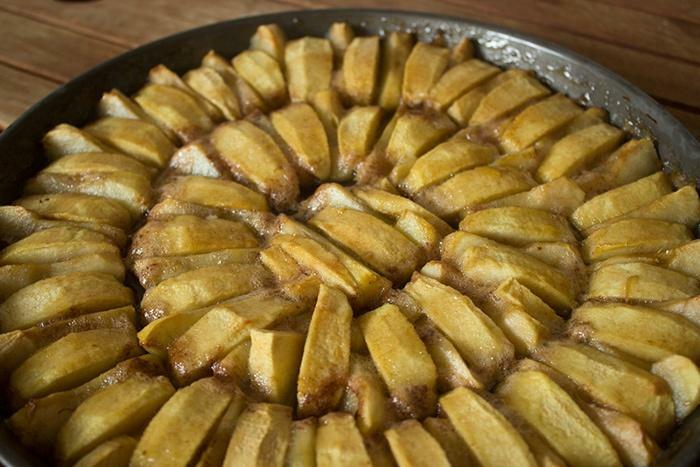 The best French Apple Tart - The Tart Tatin à ma façon! 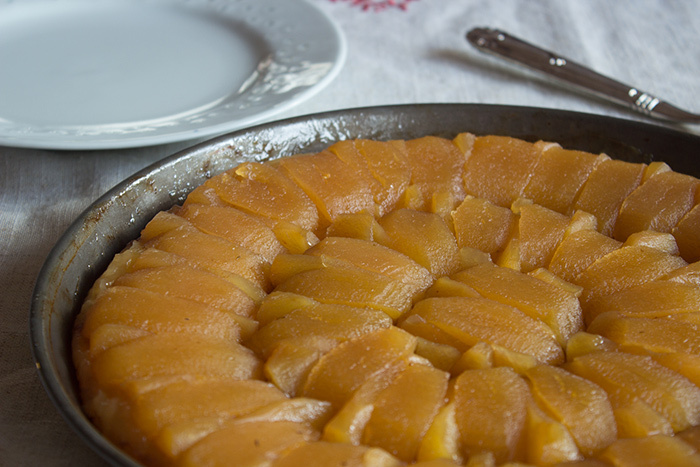 The best French Apple Tart – The Tart Tatin à ma façon! 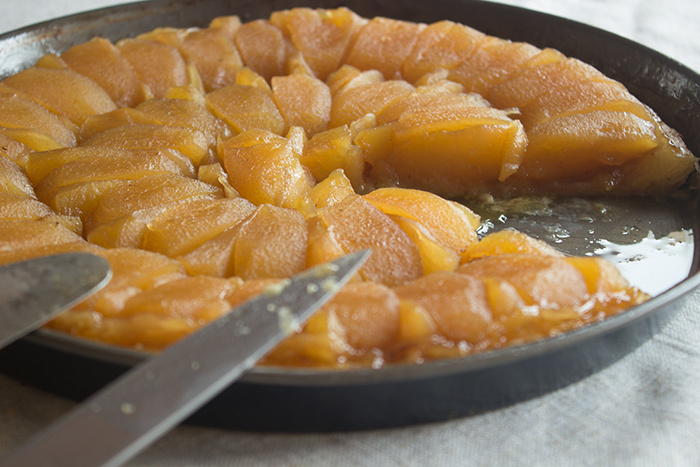 Did you know that the Tart Tatin was created accidentally? Two sisters Caroline and Stéphanie Tatin were running a hotel in Lamotte-Beuvron, which still exists nowadays. One day Stéphanie was baking her traditional apple pie as usual, but this particular day, she was completely overworked. She forgets to put the pastry base into the pastry dish and bakes the apples only with butter and sugar. When she realized her mistake, it was already too late and she puts the pastry base on top of the apples. She finished the cooking and serves this unusual dessert to her guests. They appreciated the pie so much that the Tart Tatin was born. This story might be true or not but it looks quite real to me. When I am overworked, I can even forget my head. 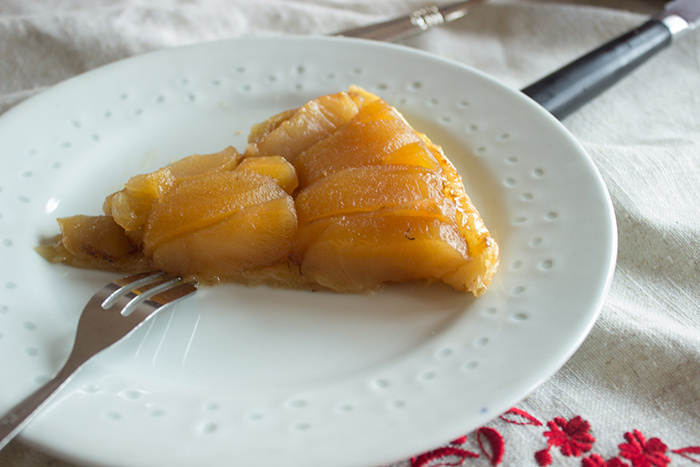 The tarte Tatin is one of my favourite dessert especially with ice cream. When I have some friends coming over, I am most of the time baking one! 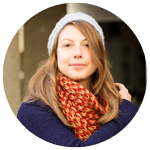 If you like this recipe, you might want to have a look at the dessert index and do not forget to register to the newsletter in order to receive the lastest recipe of a French girl “cuisine”! Peel, seed and cut the apples into 8 pieces. Fill your pastry dish with the apples, one face down, one face up, one face down, one face up squeezing them as much as you can. Preheat oven to 150°C (300°F). 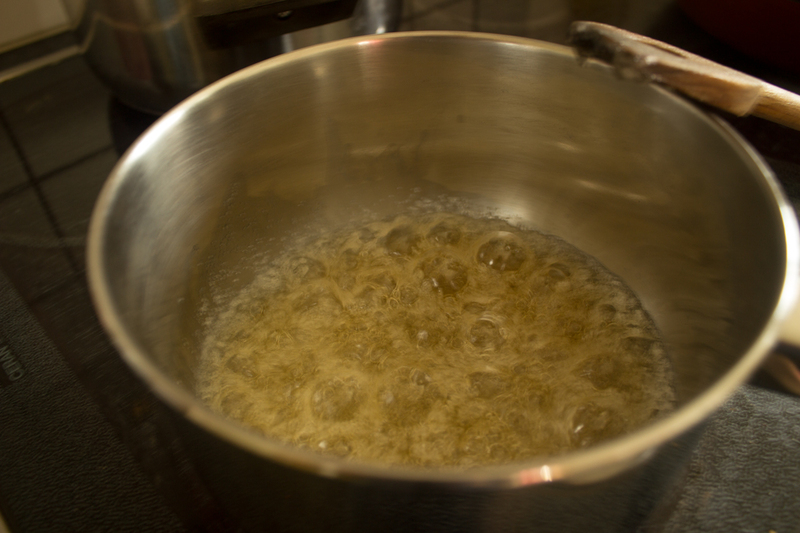 Heat sugar with just a little bit of water (1 tablespoon) in a saucepan over medium heat. Do not stire or change the heat until the sugar colors. When the sugar begin to brown, bring back in the middle the sugar on the sides with a spatula and add carefully the diced butter. Pour caramel on top of the apples and bake for 1 hour. 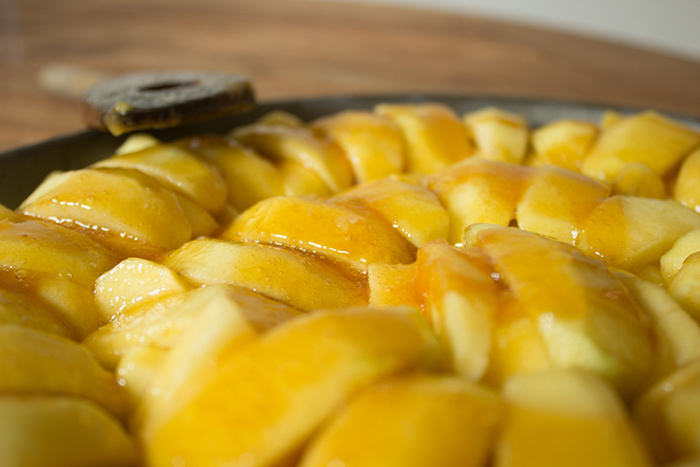 Remove from your oven and set aside until the apples cool. Preheat oven to 180°C (350°F). Put pastry base on top of the apples. Prick the pastry with a fork and put in oven during 20 to 25 minutes until the pastry is golden brown. Turn the pie up side down using a large plate. Be careful as the pie might be very warm and the caramel can flow during this delicate operation. Serve your Tart Tatin warm or cold with some vanilla ice cream.